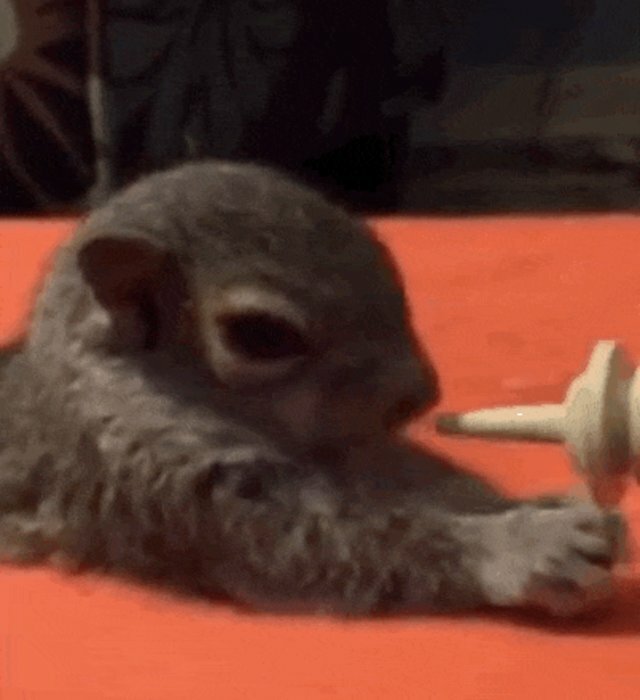 This tiny baby squirrel might be different - but he couldn't care less. 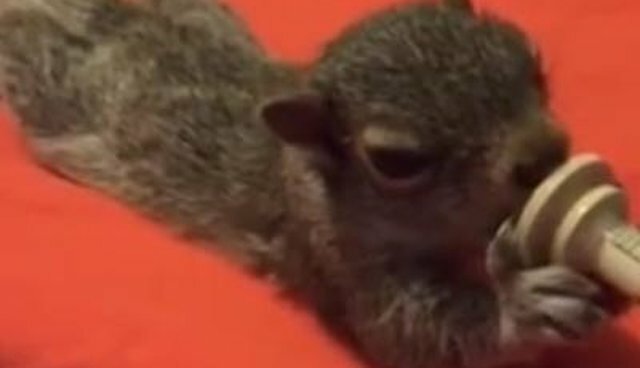 Volunteers for Wildlife, a Long Island rescue group, took in the little squirrel earlier this month after he was found alone on the ground, severely dehydrated. 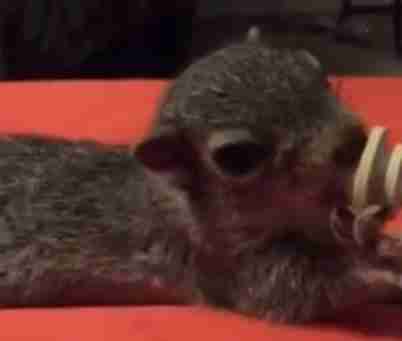 They quickly noticed that the plucky little infant appeared to be special - his legs, tail and head are smaller than usual for a 7-week-old squirrel, and he likely has dwarfism. The adorable little guy just seems happy to finally get the care he deserves. A video posted on Tuesday shows the tiny baby eagerly suckling at a syringe full of milk replacer, making some very cute noises in the process. The rescue hasn't dealt with many cases of dwarfism, but said that the condition can lead to health issues such as difficulty regulating body temperature. If the little squirrel does in fact have dwarfism, he may not be able to be returned to the wild. Even if he can't be released, the rescue group will make sure he's taken care of. Volunteers for Wildlife is licensed to keep native wildlife, and plans to give him a safe and happy home if he needs one.